The tragedy that occurred in the United States on September 11, 2001 brought enhanced emergency preparedness among first responders to the forefront of public awareness. Since those events — and despite significant progress made in many of the areas previously deemed deficient — some response areas are still woefully inadequate. Cross-Training for First Responders highlights these weaknesses that, in many cases, still remain in the response community. The book presents concrete solutions that arm first responders with vital knowledge so that they are better prepared in the event of another major incident. 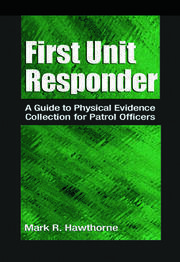 The author demonstrates that the best way responders can prepare for, react to, and mitigate an incident is to require them to train outside their traditional responsibilities — thereby developing an understanding of other first responder agencies’ terms, methods, and operational procedures. Despite this enhanced situational training, communication gaps can occur during cross-response and across regions. The book explains the kind of training required to prevent a lack of situational awareness by those thrust into unfamiliar territory during crisis events or mass disasters. Other topics include ways to curtail the inherent tensions that arise between voluntary and career responders, how to turn conflicts between various responding agencies into collaboration, innovative training strategies, grant opportunities to pay for training and equipment, and the rising trend of on-line training courses. 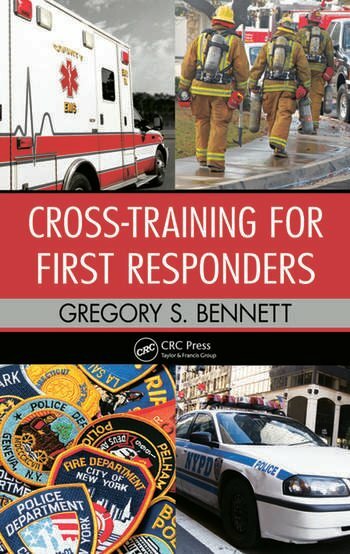 Finally, the book covers mechanisms for testing first responders’ ability to apply their new cross-training techniques, demonstrates how to plan and conduct a "tabletop" drill, and explains how to review the drill results to determine the areas in which participants are still deficient. By identifying problem areas and offering concrete solutions, this book enables first responders to harness every possible advantage so that they are prepared and ready to confront the next crisis, no matter where it may strike. On-Line Training and Distance Learning: Friend or Foe? Gregory Bennett has been involved in emergency services for more than twenty-three years. He is a career law enforcement officer, and has risen to the rank of Lieutenant for the Middlesex County (NJ) Sheriff’s Department, where he has been employed for twenty-one years. He has also been a firefighter for 24 years, including 3 as a Chief and 7 as a staff chief. In addition, he is a fire instructor and Deputy Office of Emergency Management (OEM) Coordinator. Greg holds a Bachelor of Science degree in Criminal Justice from the University of Dayton, Ohio, earned in 1986. The communications difficulties experienced in disasters have been well-documented. The classic example in the popular mind is the inability of New York City fire and police departments to communicate with each other on Sept. 11, 2001. ... Bennett wants professional and volunteer first responders to get on the same page on these issues and more sophisticated ones as well. The National Incident Management System is making some strides in this direction, he says, but it will take some years before its effects are felt extensively. Cross-Training for First Responders explains the kind of training necessary to overcome the emergency response communications gap.